The Iridium GO! device contains an Internet portal which can be used to modify device settings through your laptop or computer – to access the portal, connect to the Iridium GO! Wi-Fi via your laptop or computer, open either a Chrome or Safari Internet browser and enter 192.168.0.1 in the address bar – press Enter on your keyboard and login with the administrator account – by default, the administer account user name is “guest” and the password is “guest”. Press the “Login” button to access the Iridium GO! Advanced Features portal. Status: Contains up-to-date information about the Iridium GO! device. The information on this page is refreshed when the page is loaded or when the refresh button is clicked. SSID: Displays the Service Set Identifier (SSID) of the Wi-Fi connection. Gateway IP: The gateway network IP address of the Iridium GO! device. Number of Logged In Clients: Indicates the number of Iridium GO! application users currently connected logged into the device. Antenna Orientation: The orientation of the device antenna. The antenna can either be reported in the Up or Down position. (Note: To use the GO! device the antenna must be in UP positions). Power Scheme: Indicates the current power settings for the device GPS and Wi-Fi modules. Internet Call: Indicates if the device is currently in an Internet call. Unread Messages: The current count of unread messages stored within the system. Voicemail: Indicates if there is a voicemail notification that has not yet been pushed to Iridium GO! application users. Missed Call: Indicates if there are any missed call notifications that have not yet been pushed to Iridium GO! application users. Battery Charge Level: The percentage of charge remaining in the battery. Battery Temperature: The current temperature of the battery in degrees Celsius. Device Temperature: The current temperature of the unit in degrees Celsius. CPU Temperature: The current temperature of the CPU within the Iridium GO! device in degrees Celsius. Device Serial: The serial number of the device. IMEI: International Mobile Station Equipment Identity number of the Iridium GO! device. Hardware Version: The hardware revision number of the Iridium GO! device. Firmware Version: The current firmware version of the Iridium GO! device. Transceiver Firmware Version: The current firmware version of the internal Iridium transceiver. SIM ICCID: The ICCID (Integrated Circuit Card Identifier) of the current SIM CARD located inside the Iridium GO! device. Users: The Iridium GO! supports a multi-user environment which can enable different levels of permissions and restrictions. The default user account for the GO! device is “guest” and is a unique account within the system; this account will allow up to 5 simultaneous logins, cannot be deleted, and by default has administrator privileges. Note: You can restrict the “guest” user privileges once a new administrative account is created (recommended). Users with administrative profiles can add, delete, or modify other user accounts via the Advanced Features portal User section. User Name: This is the identification the user will use when logging in via the Advanced Features Portal or smartphone application. The user name must be unique and between 3 to 15 alphanumeric characters. Password: Must be between 3 to 40 alphanumeric characters and is case sensitive. Priority: This field indicates the user’s priority within the GO! system; users with a higher priority value are able to interrupt lower priority user calls. A lower priority user cannot interrupt a higher priority call unless it is an emergency call 000, 911, or 112. System Administrator: Users with this permission are able to make changes to the device’s configuration settings. If a user does not have this permission they will not be able to make changes to the device’s configuration. Can make calls: User can make outbound calls via the Iridium GO! application. Can send messages: User can send SMS messages via the Iridium GO! application. Can receive messages: User can receive SMS messages via the Iridium GO! application. Can send Quick GPS messages: User can send a Quick GPS message via SMS using the Iridium GO! application. 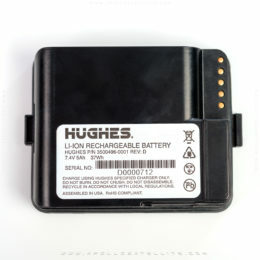 GPS On and On Demand: When the antenna is raised the internal GPS transceiver can be set to either ”On” or “On Demand” – in the “On Demand” mode the GPS will be switched on when required and switched off when it is no longer needed – having the GPS set to “On Demand” will reduce the drain on the battery and extend the operating time – by default GPS is set to “On Demand”. Settings: Provides the ability to view current settings for the Iridium GO! and make modifications. Audio: The Audio configuration setting provides the ability to modify the different audio notifications that are played out of the Iridium GO! device speaker. Mute Audio: When enabled the device will not play any audio notifications, incoming call tones or visually impaired notifications. Visually Impaired Notifications: When enabled the Iridium GO! device will play an audio notification indicating the device’s registration with the Iridium network. Ringtone: Selectable ringtone that the device will play when there is an inbound call. Volume: Sets the volume to low, medium or high, for all audio notifications. Display OFF Timer: Set how long the display will remain on, after the last button press. The longer the display remains on, the higher the battery consumption will be. Iridium GO! Device Language: Set the language that is displayed on the OLED located on the top of the device. Time zone: Set the time zone of the clock time that is displayed at the bottom right corner of the Iridium GO! device display. Format: Set the time format of the time that is displayed at the bottom right corner of the Iridium GO! device display. GPS: Displays telemetry information received from the GPS system. A valid GPS fix is required for GPS information to be available. Users can select to have the speed and altitude shown as Imperial and Metric units. By default Wi-Fi security is set to “Non Secure”. This allows any user to connect to the Iridium GO! Wi-Fi network without requiring password authentication. NOTE: Users of the Iridium GO! application will still be required to login, with their user name and password, after they have successfully connected to the Iridium GO! Wi-Fi network. SIM Lock: When the SIM lock capability is enabled, the device requests a SIM PIN whenever the device is powered on. NOTE: Only users with system administrator privileges are allowed to enter the SIM PIN when requested by the system. SIM LOCK Status: Shows the current status of SIM Lock configuration, either enabled or disabled. Enable SIM LOCK: Enter the 4 to 8 digit SIM PIN provided by your service provider to enable SIM lock functionality. Disable SIM LOCK: Enter the 4 to 8 digit SIM PIN provided by your service provider to disable SIM lock functionality. Auto SIM PIN: The device can enter in the SIM PIN on your behalf when the device powers up. This means that a user will not be prompted to enter in the SIM PIN after the device has powered on. If the SIM card is removed from the device, SIM lock will still be active and the SIM PIN will be required if the SIM card is installed into a different device. To disable this feature ensure the Auto SIM PIN input field is blank. NOTE: That if the Auto SIM PIN is set to an incorrect PIN value, each time the device powers on this will consume one of the three available attempts at entering in the correct PIN. Change SIM PIN: This allows the modification of the default SIM PIN associated with the SIM card. The SIM PIN can only be changed when SIM Lock is enabled. Service Center Number: Sets the SMS Message center gateway service number. Use this capability to enter the number for the service center to which you wish to forward outgoing messages to. By default when this field is left blank, Iridium GO! will use iridium’s regular Service Center Number. Voicemail: The number to access the voicemail system when clicking on the Voicemail button within the Iridium GO! application. Firewall: The Iridium GO! built-in firewall blocks specific outbound communication when an active Internet call is in progress. NOTE: These firewall rules only apply when a user starts an Internet call via the menu option from display panel of the Iridium GO! device. Internet calls that are initiated via third party applications may have different firewalls rules that are configured by the third party application. DNS forwarding: The Iridium GO! will forward domain name requests to DNS servers accessible when there is an active Internet Call. This will allow for clients to resolve domain names to IP addresses while in an internet call. Disabling DNS forwarding will prevent the resolving of domain names while in an Internet Call. IP Address Filter: The firewall can be configured to either allow or block all outbound communication. Firewall Exception List: List’s all firewall exceptions. Exceptions can be deleted from the list by clicking on the red X in the delete column. Internet Call: Set the Internet Call access number. NOTE: The Internet Call access number is only utilized when initiating an Internet Call via the display menu option from the Iridium GO!. Quick GPS recipients: The Quick GPS feature provides the ability to send a message with your position information to a predefined list of recipients. Up to 5 quick GPS recipients can be set. Recipients can be either a SMS phone destination number or an email address. Tracking Frequency: Set the frequency for automated tracking messages to be sent. By default this is set to “No update” which disables the service. Changing the tracking frequency to a time interval will set the automated tracking message sending period to that frequency. Tracking Recipient: Set the recipient of the automated tracking message. The recipient can be either a SMS destination number or an email address. SOS: The Iridium GO! offers a programmable SOS button that can be configured to notify specified contacts in the case of an emergency. Use this section of the Advanced Features portal to complete the SOS configuration process. 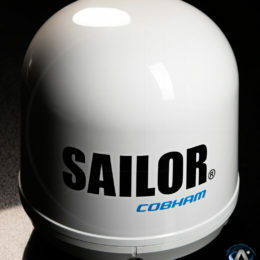 Once configured, an SOS can be initiated either from the Iridium GO! device or application. An SOS initiated by pressing the SOS button on the Iridium GO! device will only send an emergency message with location information, while an SOS initiated from the Iridium GO! application will also provide the option for two-way voice communication with the designated contact. GEOS safety services: To support the SOS feature, Iridium has contracted with GEOS Travel Safety Group to provide an emergency response coordination service for your Iridium GO! at no additional charge. These services are offered and provided exclusively by GEOS and not by Iridium which is a separate, unrelated company. Standard airtime charges will apply to SOS mode messages and/or calls to GEOS, a valid Iridium SIM subscription and online registration at www.geosalliance.com/iridium is required. To use GEOS service: You must first register at www.geosalliance.com/iridium from your computer. To register, you will need your Iridium phone number and Iridium GO! IMEI (located on the Status page). After completing the GEOS on-line registration process, navigate to Location Options > SOS Settings and select Use, and enter the 5-digit authorization code provided by GEOS, then Submit. If successful, your SOS settings will appear and the SOS action will be set to Call and Message, for the GEOS service. You may then choose to add additional emergency message contacts (see Message Recipient, below). To decline GEOS service and configure designated emergency contacts: Location Options > SOS Settings and select “Do Not Use” to decline GEOS Service. Upon declining the GEOS service you should select the SOS Action (Call and Message or Message). The Message action enables automatic Emergency SMS alerts to be sent at 5 minute intervals until canceled. The Call and Message action enables the message feature as well as an automatic phone call to your designated call recipient when SOS is initiated from the Iridium GO! application. Message Recipient(s): Up to three message recipients can be entered as either an email address or a mobile phone number in the correct international format. Preferred Spoken Language: Select the preferred spoken language of the emergency response personnel. The SOS emergency message will contain an abbreviation of the preferred language you have selected. This field helps to inform the emergency response personnel of the language you would prefer for spoken communication. However, it does not guarantee that the emergency response personnel will be able to speak in the preference selected. 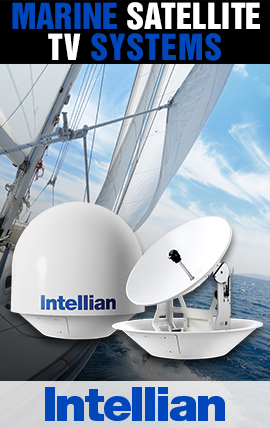 Firmware Updates: The Advanced Features portal allows for the upgrading of the Iridium GO! device firmware, when used with a supporting browser. Click the “Choose file” button to browse the local computer for the firmware. Once selected, click upgrade to commence upgrading the new firmware into the Iridium GO! device. NOTE: Before commencing the upgrade process ensure the Iridium GO! has at least 2 bars of battery charge available. This is indicated by the battery icon on the devices display screen. Choose file: Browse the local computer to select the Iridium GO! device firmware upgrade file. Upgrade: Commence the upgrade of the firmware into the Iridium GO! device. NOTE: While the upgrade is in process the Advanced Features Portal will not allow navigation to other areas. It is important that a user does not close or navigate away from the page while the upgrade is in progress.